Olive oil is one of the oils which are highly beneficial to our body and mind. It is something that is used in many world cuisines, and is also used in many medicines and creams used for skin and hair care. Olive oil was first found in Asia almost 3000 years back, and since then it has been used as a natural remedy to heal wounds. But this amazing oil has a lot more benefits than healing wounds. The indigenous people in the Mediterranean region were the first people to find out the various uses of this oil and put them into purpose. Olive oil, or the oil extracted from the olive is rich in monounsaturated fat, which makes it highly effective in reducing blood cholesterol levels. It is also found to be helpful in combating other cardiovascular diseases. The oil is also found to be good for skin and is used as an effective moisturizer and also for treating skin irritations. Rest of the world took long time to understand the health benefits of this healthy oil, and switch from other oils to this one. If you are also late to know about it, this article would help you know more about olive oil and its benefits. Olive oil is available in market on various grades. The oil is classified into various grades based on the level of processing which is performed on the pure olive oil. Based on this, there are four different grades of olive oil that is available for us in the market. Extra virgin olive oil- this variant of olive oil is obtained by the lowest level of processing of pure olive oil. Virgin olive oil- this grade oil is what we obtain by doing second pressing of the olive. It is less pure compared to extra virgin olive oil. 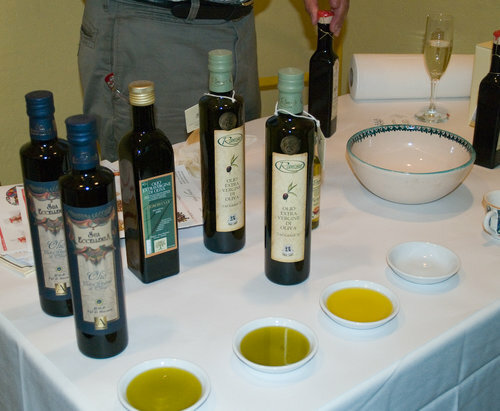 Pure olive oil- this grade of olive oil is obtained through the rigorous process of refining and filtering. It will have fewer impurities. Extra light olive oil- this is the final grade of olive oil available in the market. This grade of oil is obtained through different stages of huge processing. Olive oil of this grade will have only very delicate flavour of olive in it. Out of all these variants of olive oil which is available to us, the most pure and healthiest variant is the extra virgin olive oil. Extra virgin olive oil is made by clod pressing freshly harvested olives, and is having no chemicals or artificial flavours added to it. The most unique thing about this oil is, this is the only vegetable oil that can be can be consumed in its natural form, without any kind of processing or adulteration. This oil comes with lot of amazing benefits, most of it originating from the level of anti oxidants and fatty acids that are present in it. Let us see in what all ways extra virgin oil can be beneficial to you. Extra virgin is the only grade of olive oil which is completely pure and unadulterated. Because of this, this grade of olive oil is rich in vitamins and strong antioxidants, making it highly beneficial for your skin. If you are craving for a smooth and flawless skin, all you need to do is right after your bath, just apply some extra virgin olive oil on your skin. It will give you a smooth and flawless skin that you have always dreamt of. EVOO, the other name in which extra virgin olive oil is famous for, is also referred to by many as a ‘beauty secret’. Extra virgin olive oil is a good moisturiser that can keep your skin healthy, smooth and away from dryness. Extra virgin olive oil can also stimulate cell repair and thus can lead to formation of firmer and smoother skin. Hair loss is something most of the men and women in the world suffer from. People with acute hair loss problems often look for natural remedies that are highly effective for hair re-growth. For all such people, extra virgin olive oil can really help you out. Most of the natural remedies that you will find out will be made up with natural herbs that help in hair rejuvenation. Out of them almost fifty percent of the remedies that you will find will be using olive oil in it. Extra virgin olive oil, with its high content of vitamins, minerals and antioxidants help in retaining the moisture in your hair and also stimulates hair growth. Olive oil also gives your hair protection from dirt, pollution and harmful rays of sun. The ability of olive oil to control the LDL cholesterol and increase the HDL cholesterol levels in our body is one of the biggest benefits of extra virgin olive oil. Massive amount of monounsaturated fat that we can find in extra virgin olive oil cannot be found in any other type of oil. It is a proven thing that having more or less 2 tablespoons of olive oil on daily basis will lead to enhanced level of antioxidants and also lesser accumulation of LDL cholesterol. When other oils go hard, extra virgin olive oil is relatively easy on your stomach. For those who are suffering from ulcers and other gastritis issues, olive oil can act as a protective shield against them. Consuming olive oil in its natural form helps in inducing the production of bile and pancreatic hormones in a natural manner. Olive oil works better than any other medicine or prescribed drugs in this case. Olive oil can also bring down the chances of formation of gallstones. So make this amazing oil part of your diet and lifestyle and reap the numerous benefits that it offers for your skin, hair and health.